We got back from Japan just days before Christopher's second birthday, yes, we intentionally planned that because we wanted the free flight. Kids under two can sit on your lap instead of buying a seat on the flight and you just have to pay taxes on them, so it makes traveling much cheaper. Japan was a big flight, so we were happy to do it while we only had to pay for three tickets instead of four! I can't wait to share with you everything about our trip to Japan but I wanted to write a quick post about Christopher's birthday!!! I've decided to start adding some personal posts on my blog about family, the new house and my pregnancy, because we may not travel as much before baby comes. However, we are planning a few staycations in the Buffalo area and I am still really hoping to go on a babymoon before the baby comes this March! Christopher's second birthday was pretty simple. When we got home late on Saturday night I had only one present planned (one that we were expecting in the mail) but I did want to make it special for him. Tuesday night (the night before Christopher's birthday) Dylan and I went to Five Below to pick out a couple of presents. Five Below is kind of like a dollar store, but everything is $5 or less. We got him a Gecko character, a toy car, and a coloring book. We also had a book delivered from United Letters, a company based in Germany! 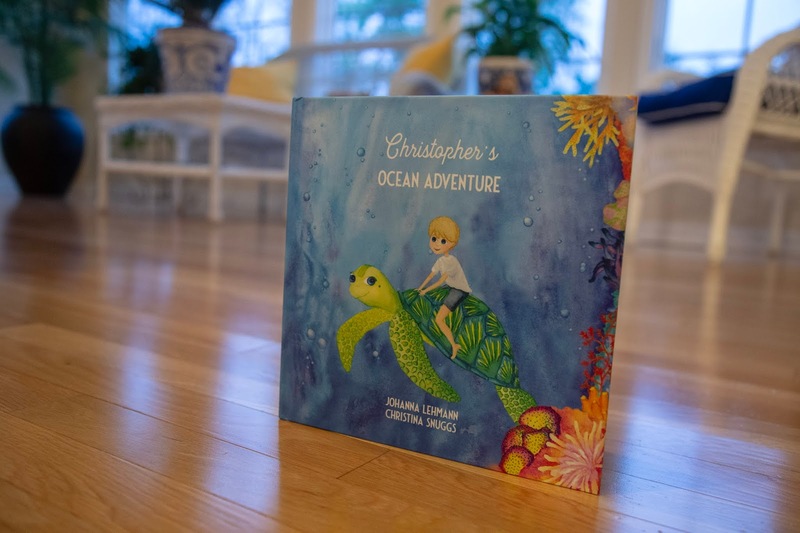 They custom made a book for Christopher called "Christopher's Ocean Adventure". The book is sooo cute! It's a story all about a little boy named Christopher (of course!) who helps save the ocean by cleaning up all the pollution on the beach. 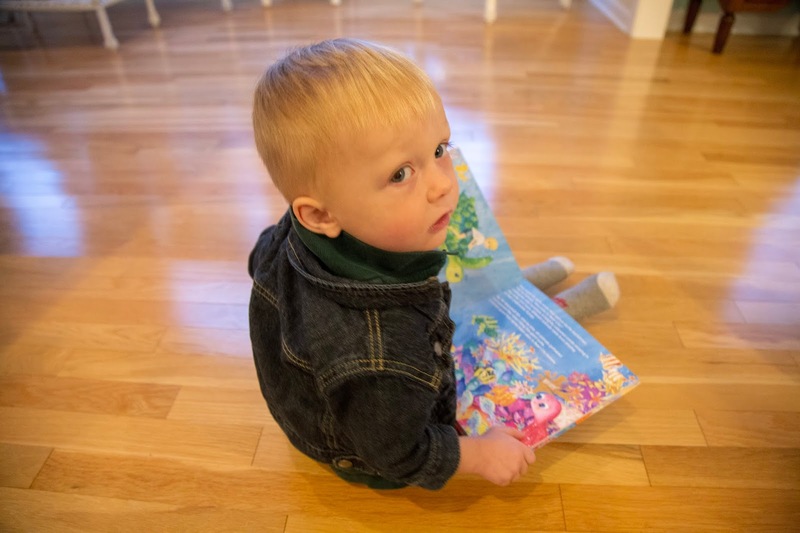 It is so cute and Christopher loves reading it because he loves hearing his name and being the hero! :) It's funny because we could have really over bought a ton of presents for the boy boy we've decided to keep birthdays super simple and Christopher was sooo happy just to get four new things! In the morning, we all sang happy birthday when we heard that Christopher was awake and I made him blueberry pancakes for breakfast (we were still pretty jet lagged from Japan and waking up at 5am has been pretty normal at our house that week, so I was pretty energized to make a big birthday breakfast). It was pretty obvious from Christopher's little smile that he was really enjoying being the center of attention and that birthdays are pretty fun! :) That night we took the boys to McDonalds for happy meals, which they loved, of course- and afterwards we went to Chuck E. Cheese to play a couple games. They were in "kid heaven" and I love how we can do something so simple, like a McDonald's happy meal, but it means so much to them!! Overall, I have to say, Christopher had a fantastic birthday despite the craziness of jet lag and unpacking. I used to have a book like that when I was a kid, I loved it!